Bagan has always been synonymous with Burma for me. The vivid imagery of hundreds of mystical pagodas rising out of vast misty plains or silhouetted against a gloriously golden sky has beckoned me for as long as I can remember. The reality however was unexpectedly mixed. The temples are stunning from afar. Close up, the mystique gets eroded somewhat, and you begin to understand why a few zealously restored and pressure cleaned facades have kept this unique heritage ensemble off the UNESCO list. Pagodas aglow in the late evening light. The enchanting morning silhouette of Sulamani temple. Roughly 2300 surviving temples, stupas and shrines dot some 16 square miles (40sq km) of verdant Irrawaddy plains. The numbers were said to have been closer to 10,000 once! Most constructed at the peak of the Bagan empire between 10CE to 12CE, when much of South East Asia came under its purview. Originally founded by King Thamudarit in the 2nd century, Bagan – then known as Pagan – grew into a fortified town under King Pyinbya in 850, and into one of many minor city states in the region, relatively isolated from the outside world until the reign of King Anawrahta. The city’s rise to prominence closely followed this King’s ambitious conquests. His forcible acquisition of the Tripitaka texts (Sinhala palm leaf Buddhist texts translated to Pali) from Thaton, transformed Pagan into a powerful centre of Theravada Buddhism, attracting an influx of eminent scholars and students. The first of the pagodas, commissioned by members of the royal household and wealthy individuals as offerings to gain ‘merit’, began appearing. The building frenzy continued into the reigns of successors: Kyanzittha and Alaungsithu. 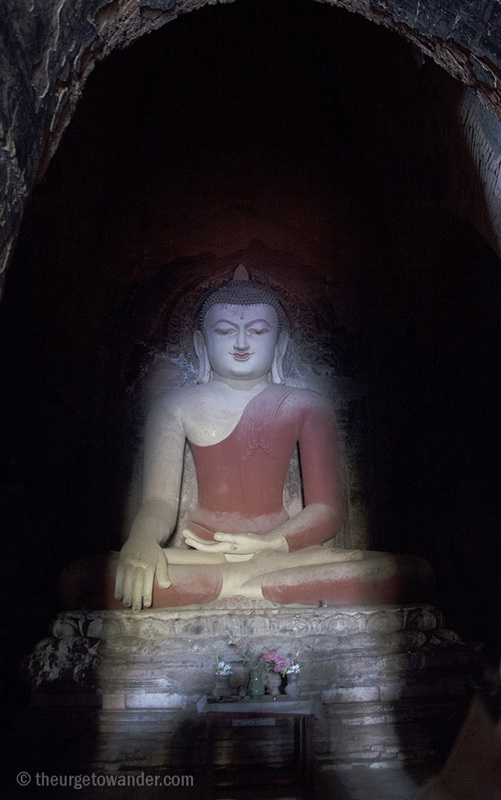 The magnificent 11th century Thatbyinnyu, whose name refers to the omniscience of the Buddha. By the turn of the twelfth century, the advancing Mongols were a real threat. The execution of two of Kublai Khan’s messengers, turned out to be a most injudicious response to the demand for tribute. When attack was imminent, emissaries were hurriedly dispatched to broker peace. Ironically the last of the Pagan kings, Narathihapate, and his jittery subjects, fled the city before the return of the emissary who had in fact succeeded in halting the Khan’s advance! Narathihapate, whose cowardly deed forever branded him: Tayoke Pyay Min (King who fled from the Chinese), was eventually vanquished in the battle of Ngasaunggyan in 1277. Pagan never regained its lost glory. The exquisite Pahtotamya. This stark and tiny 9th century shrine with its stunning seated Buddha and fragments of some of the earliest frescoes in Bagan appealed to me more than the opulently decorated ones! A mist shrouded Bagan dawn from the top level of little Pyaut Thut Gyi. There is no dearth of lists online of ‘best’ pagodas to visit. The prominent ones are naturally the most popular and teeming with people. Our cruise itinerary covered a fair mix of big and small temples over two days. And it was in the lesser known shrines, and on the roof of a quiet, dilapidated stupa, awaiting the dawn of a new day over that incredible field of pagodas, that we re-discovered the magic of Bagan. Reproduction mural depicting the Hindu creation myth in Nat-Hlaung-Kyaung, the only Hindu temple in Bagan. Brahma, Vishnu and Shiva emerge from the naval of a supine Vishnu. Quite unique even for me! A 1218 temple built by King Nantaungmya to mark the spot where he was chosen as heir by his father in a tradition in which a white umbrella tilts toward him. And that’s a real monk in case you are wondering! Fragments of wall frescoes along the interior passages of the 9th century Pahatothamya temple, are considered the earliest surviving murals in Bagan. This beautiful temple, in Mingyaka, South of Bagan, boasts some of the most beautiful Jataka frescoes. Next door are the UNESCO certified, quadrilingual stone inscriptions that are considered the Rosetta Stone of Burma! One of two original 11th century 9.5 mt tall standing Buddhas in the Ananda temple. This faces North. Two more replicas face East and West. Ananda Paya is considered the “finest, largest, best preserved and most revered of Bagan temples.”. The crowds are proof. The 12th century Mahabodhi Temple, modeled after the ancient Mahabodhi temple in Bodhgaya, India. Glad you enjoyed it. Thank you Arun. Marvelous set of images that are examples of humanity’s ingenuity and spirituality. You just put Burma on my bucket list!, dearest Madhu! That’s good, you will love it Ashu. No apologies needed. I have been guilty of neglecting my blog myself! And of not keeping up with all my lovely friends. Have been shuttling between Chennai and B’lore like a whirlwind on some personal work. Thank you for the pleasure of your company dear Marina 🙂 Happy Sunday! Bagan always has a mystical influence with its ancient Pagodas, each picture is beautiful than the other! We can not stop imagining how beautiful it might be to witness this in person! It does. It is like Machu Picchu, one for the bucketlist 🙂 Thank you for your lovely comment. Thank you very much dear Mihrank. A concert in the shadow of one of those monuments would be magical! Thank you Kelly. You should plan a trip before the whole world descends there. They are posed for a huge boom. Thank you for your visit and comment Rupam. Have a great day! The entire country is so picturesque Sue. You would do an amazing job of capturing it. I am rather disappointed with my sunset/sunrise photos actually, the market and people shots turned out much better. 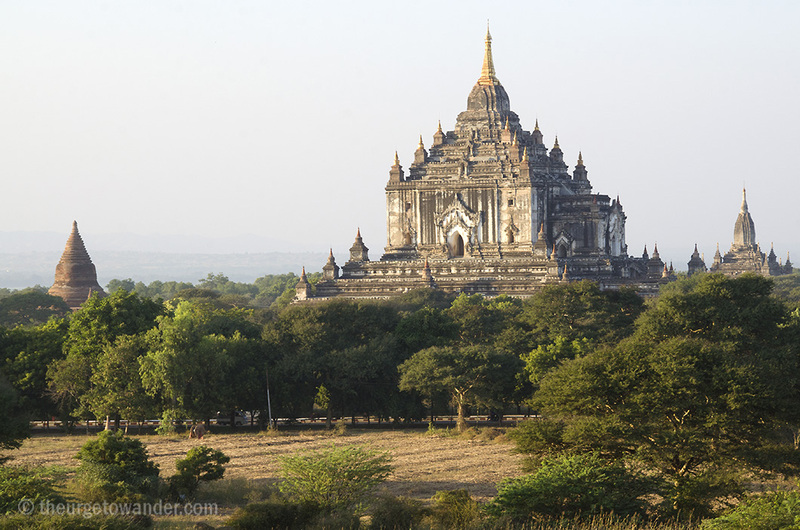 Did you hear about the new government regulation banning tourists from climbing the temples in Bagan? I don’t know how effective it will be since most people come to Bagan exactly for that reason. As for the temples, I found the ones far from the main complex more interesting. Thambulla is definitely one of my favorites. Bama, I did. But I also read that it has been partly repealed to allow access to some pagodas! Finding the balance between conservation and tourist revenue must be quite the challenge. Banning outright might not work. Elevating a few minor stupas with the addition of inconspicuous protective railings might be the way. I fervently hope they aren’t considering concrete viewing towers!! Amazing! ❤ Thanks for sharing! Thank you for reading Ann. Have a fabulous Sunday! Great read and very illustrative photos! Heard the climbing and watching of sunsets from the pagodas is gonna be banned from the 1st of March, so I guess you were lucky to experience that magic! Thank you very much Ron. Only a few select pagodas were earmarked for sunset/sunrise viewing even during our visit. The news item refers to a govt. decision to ban climbing of all pagodas. I read a later report stating they had repealed that order! Not quite sure what the current status is. Aaah, ok, yeah, just read it as well, maybe just a case where they want to control it and make sure no more harm is done! It wasn´t too crazy touristy when you were there? Did visit Myanmar last year, but only traveled around in the South and heard stories from other travelers on the bigger impact of tourists on Bagan and Inle Lake! Lovely shots. I can understand why the understated makes more of an impact. Stunning images and a beautiful story! Stunning photos and writing in true Madhu style. These landscapes are intriguing and even decay has beauty. I suppose most will crumble back into the earth eventually. Thanks friend 🙂 I guess some of the temples will eventually crumble to dust. I can’t seem to decide whether they should be left untouched or returned to their full glory. Judicious intervention, I guess, is the key. Have missed you Gilly. Hope I can stick to a reasonable regular schedule from here on. Glad you enjoyed it. Thank you Chitankalai. You have some beautiful photos Madhu. Thank you for bringing back some wonderful memories. Bagan, and our whole time in Burma is definitely a highlight of our travels. Thank you Alison. I do not know of anyone who has come away underwhelmed by Myanmar or Bagan 🙂 Truly a beautiful country. Shall be over to catch up with your travels in a while. Are you guys still in Turkey? No, we were in Turkey last Aug/Sept. The blog is always behind. We’re in San Miguel de Allende, Mexico for 5 months until the end of May. How lovely! Hoping to go to Mexico later this year. Will be looking out for some tips. Enjoy your time in San Miguel Alison. The misty atmosphere shrouding those pagodas reminded me of time spent working in Thailand where atmospherics presented their pagodas in a similar way. I suppose Thailand has kept their pagodas clean but understand the army in Myanmar had more interest in pocketing money than spending it on upkeep of these national treasures. Actually the Junta did restore some pagodas rather zealously and that is the reason Bagan didn’t get inscribed into the UNESCO list sadly! Future restorations will hopefully be done by professionals. Thank you for your constant support Ian. I kind of fell off the radar for a while. Hoping to stick to a more regular blogging schedule from here on. Your writing and photos take me back to this precious place ~ a sight and history that I could stay there for a lifetime and still not understand it all. Your photos are tremendous and the morning silhouette of Sulamani temple superb (my favorite). Mine too. I know you share my fascination with this land Randall. Didn’t expect to like it quite as much as I did 🙂 Thank you for reading and sharing. Much appreciated. What was it about the restored temples that was off-putting? From afar, it does look magical. Jeff, the Junta decided to restore some of the temples a few decades ago with private contributions and they did it without professional help. So some temples have spanking new exteriors, and new gilded Buddhas in the altars that aren’t as attractive as the older ones. They didn’t veer too much from the terracotta palette thankfully. Many murals have been whitewashed and pathways lined with ceramic tiles. Parts of the facade of the Ananda temple had been recently cleaned with high pressure water pumps! Pity, because Bagan certainly merits being inscribed into the UNESCO heritage list. I had assumed it was! Thank you for reading and for the share Jeff. Much appreciated. Love the photos, Madhu. Similar to my experience in Thailand, the obscure temples are typically rustic, I prefer those to the elaborately decorated ones. Hey Madhu! Awesome photographs in this post. Every time I see and read a post like this I want to travel here so bad. Thanks for sharing your images with us! I remember you used to stop by my.travel.map every once in a while when I was posting quite often. 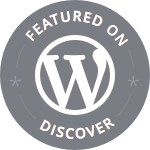 I’m currently working on reviving my blog with new travel stories and photographs as well. Looking forward to catching up with some more travel stories from you! I liked the simple Romanesque churches in the Pyrenees better than the admittedly fantastic baroque cathedrals of Barcelona. That’s the same, right? It is 🙂 I think it depends on the circumstances of our visits as well. I remember how special an early morning mass at St. Marks in Venice felt, while a daytime visit with hordes of tourists was far less enjoyable. Pleasure to see you here Michael. Have a great weekend! I guess for most of the world Charukesi, considering information about the country has been limited so far. The sunrise/sunset visuals were indeed spectacular. You’ve put the concept of Bagan in a very nice context and light. I can see why you were more enamored by the Pahtotamya sitting Buddha, I would be drawn to that, also…more than glitz. Did you take a two-day boat trip? From where to where? 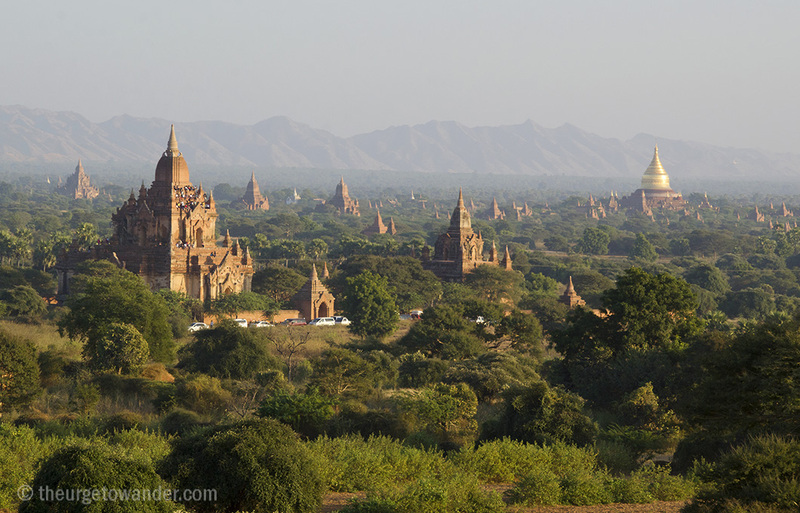 I will be visiting Bagan soon, and don’t have plans on how to travel. Don’t really like tours, but then, some places it may be better to go with a guide??? Apologies for the very belated response Badfish. Life got in the way and I kind of lost my muse. We were on a nine day cruise, but Bagan is easily done from land. 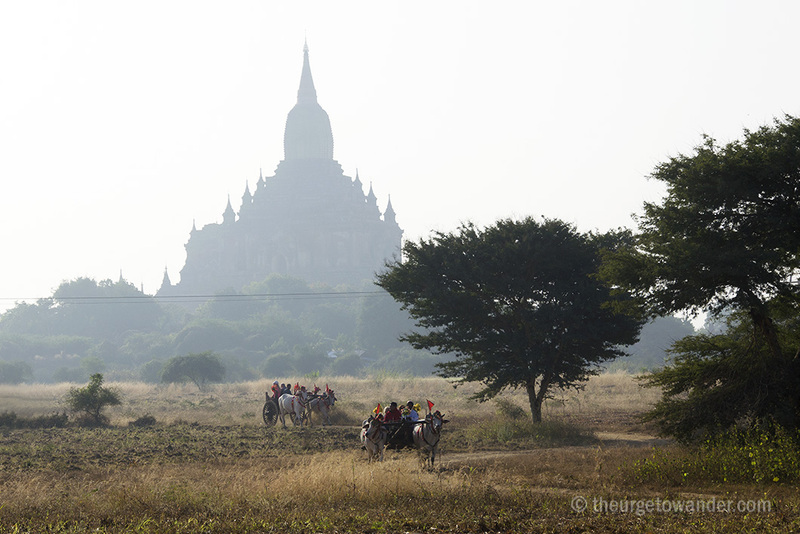 You could take a taxi from Mandalay or even a flight direct to Bagan and stay there for a couple of days. We were docked there for two nights. James and Bama spent four. Any hotel should be able to arrange a guide or tour. I have a feeling you might prefer to mark the temples you want to visit on a map and hire a bike or an ox cart to take you around. Or you could do a mix of both: get the main temples out of the way with a guide and wander into the lesser temples at leisure. The sunset and sunrise visuals are truly spectacular. I heard some temples are now off limits for sunset viewing, so you might want to cross check with your hotel. I could email you some links for hotels and temples if you wish. Where are you now? STill traveling, home? Timbuktu? Ha, wish I could say Timbuktu! 🙂 Very much home. Shall send you some links. I am generally an obsessive planner, but it felt good to go with the flow for a change. Have been meaning to set up some travel resource pages, but again life gets in the way. When I am not consciously procrastinating that is. Tell me about it…I’m like the king of procrastination. I can do it in my sleep! My pleasure. Have a lovely week-end. Wow – superb shots and great reading, Madhu! I can’t imagine anyone who could tell the story better, Madhu. 🙂 Beautiful! Take good care of yourself. Ah, this brought back memories of my own trip to Burma. Beautifully written article! Madhu, I’m not sure how I neglected to comment on this post until now! 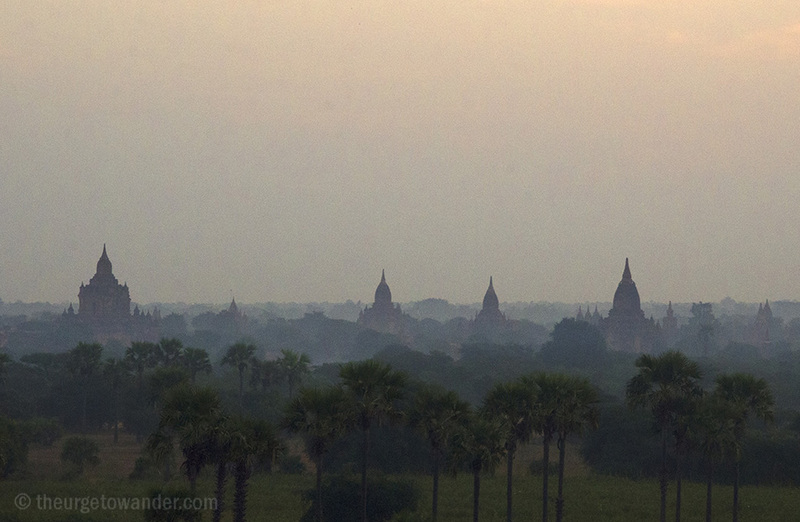 Bama and I took thousands of photos in Bagan – contrary to our time in Java, we never did get up to see the sunrise. It was indeed magical, although our experiences of the major temples (especially Shwe San Daw) were marred somewhat by the dogged persistence of the postcard vendors. It is always difficult to maintain that balance between restoration and an authentic, partially ruined state. The Ananda Temple was gorgeous, but the exterior would have been even better left unpainted. An interesting read. Myanmar has always been on my list of places I want to visit. Amazing photos of Pagoda!! The first one looks so surreal. I loved Myanmar and especially Bagan. I have spend here 5 days but could have easily stayed for more days!! Great pictures!! Thank you very much Jacomjin. We loved Myanmar too. Yes, Myanmar exceeded all my expectation. Thank you for reading Alok.